More Than Words Bless This House Figurine. 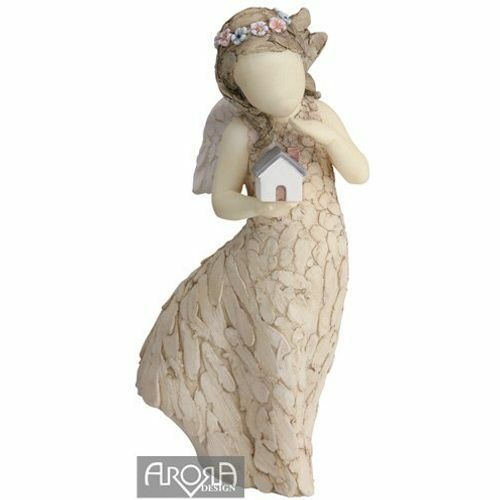 The figurine portrays a young angel holding a small house in her hands, symbolising herself as the guardian of the household. It is delicately crafted with pink and blue garlands in the Angels hair. The ornament is painted in elegant, neutral colours that suit any decor and has a contemporary design that cleverly relies on the art of human gesture to convey emotion. A perfect gift of good luck and cheerful decoration to give to new home owners.